1. Plastic clip design, the clip can be easily fixed to hat visor, allows you to work hands free under even the darkest conditions. 2. With 4 super bright LED light. 3. This hat clip light puts out maximum 26 lumens for more than 5 hours (When 4 LED on). 4. 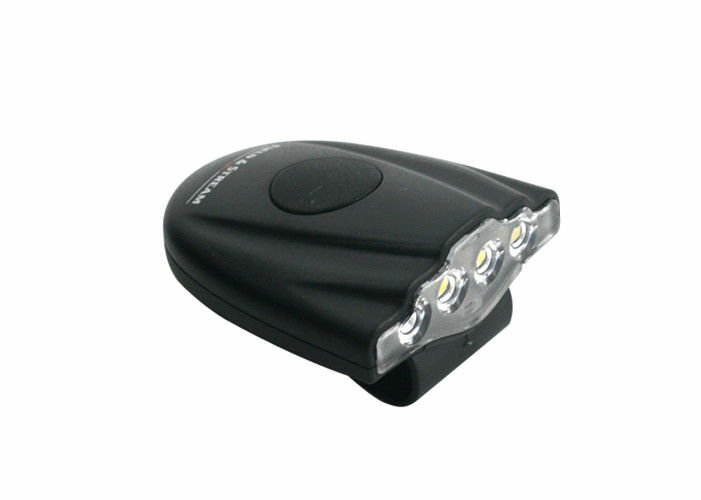 Built-in 2pcs CR2032 3V lithium batteries included, you can remove the cover to replace batteries easily. 5. Very lightweight and compact, so can be worn comfortably for long periods, also easy to store. 6. Perfect for outdoor pursuits such as camping and hiking when you are likely to be carrying other equipment. Use daily when dog walking so you can be seen in bad conditions. 7. 2 light modes: high (4 LED lights on) and low (2 LED lights on). 8. Recessed, soft touch switch cycles between light modes. 9. Beam distance can be up to 6m when 4 LED is on, 5m when 2 LED is on. 10. Impact resistance, durable and environment-friendly PC+ABS plastic body, certified by Rohs. The Sunway Cap Clip Light is great for indoor, outdoor lighting, such as night reading, working outdoor or even around the house, camping, adventure racing, caving, mountaineering, climbing, cycling, jogging, fishing, hunting, use in an emergency or use as an everyday safety aid while walking. 6. Remove batteries if the light is to be unused for two months or more. 7. Don't contact with water! 8. Recycle old batteries whenever possible. If recycling is unavailable in your area, dispose of old batteries in accordance with local regulations.